It was in a good location for getting around on the subways. The staff was very nice, always very polite and helpful. My husband really liked the onsen. I couldn’t use it because I have tattoos but that’s totally understandable and I expected that. The location! The room is as usual, compact, but ok. The location was very convenient to the castle and a very easy walk - that was about it though. Very much redeemed by the fact that the front door opens to a subway station access. The staff were polite and friendly, but didn’t understand enough English to be able to help us with a question/issue with the air conditioning. The location and staff service for getting around was good. Also the spa area. Great location. Great staff. Good price. Very clean. There's a huge parking lot just across the street and the metro entrance is right in front the hotel. Put me in a smoking room..when I asked to be switched they said no..& hotel was half full at best..room was very tiny pictures made it look bigger.. So close to subway and convenient family mart next door. Second time staying here, this time with my partner. It was clean, comfy and well located. The beds were comfy and the room had adequate space for two smaller people traveling. Osaka Castle and one or two of the museums are in walking distance of the hotel, as well as several restaurants. The room had no hint of smoke and we got a top floor view! APA Villa Hotel Osaka-Tanimachi 4 Chome-Ekimae This rating is a reflection of how the property compares to the industry standard when it comes to price, facilities and services available. It's based on a self-evaluation by the property. Use this rating to help choose your stay! One of our top picks in Osaka.Right next to Exit 8 of Tanimachi-Yonchome Subway Station, APA Hotel Osaka-Tanimachi features a Japanese restaurant and a hot public bath with a sauna. The modern rooms include an LCD TV and a private bath, while free Wi-Fi is available in all areas. 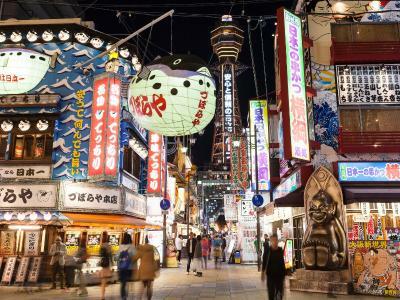 Umeda area is a 10-minute train ride from the hotel. Offering compact rooms with a comfortable decor of neutral colors, APA Villa Hotel Osaka-Tanimachi 4 Chome-Ekimae equips each with Sealy beds, an electric kettle and a fridge. All rooms are air-conditioned and come with toiletries and a wood desk. Video-on-demand movies can be purchased and both WiFi and wired internet are available in all rooms. Bath amenities including a toothbrush set and hairdryers are provided. Calla, the on-site spa, is avialbe for use from 11:00 to 23:00. The 24-hour front desk can store luggage for guests. A coin launderette and coin-operated internet terminals are available. Extra facilities include a microwave on the ground floor and a drinks vending machine. 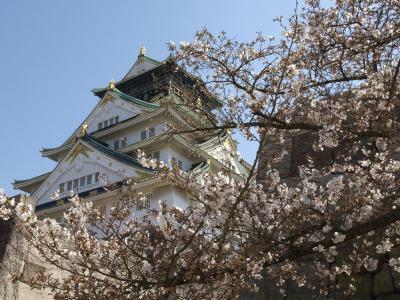 The hotel is a 9-minute stroll from Osaka Castle and a 20-minute subway ride from the lively Namba area. Universal Studios Japan is a 40-minute train ride and Abeno Harukas is a 15-minute train ride away. Ginyuba Restaurant offers a Japanese/Western breakfast buffet from 07:00-10:00, and also serves lunch and dinner. When would you like to stay at APA Villa Hotel Osaka-Tanimachi 4 Chome-Ekimae? This single room soothing decor of neutral colors features an original mattress optimizing weight distribution and air conditioning. It is equipped with an electric kettle, a fridge and an air humidifier/purifier. Bath amenities including a toothbrush set and hairdryers are provided. This air-conditioned double room features a 47 in-wide bed with an original mattress optimizing weight distribution. It is equipped with a wooden desk, an electric kettle, a fridge and an air humidifier/purifier. Bath amenities including a toothbrush set and hairdryers are provided. This air-conditioned twin room features 2 single beds with original mattress optimizing weight distribution. It is equipped with a wooden desk, an electric kettle, a fridge and an air humidifier/purifier. Bath amenities including a toothbrush set and hairdryers are provided. This air-conditioned twin room features 2 single Sealy beds and a wooden desk. It is equipped with an electric kettle, a fridge and an air humidifier/purifier. Bath amenities including a toothbrush set and hairdryers are provided. Each room comes equipped with an original mattress optimizing weight distribution, an electric kettle and a fridge. All rooms are air-conditioned and come with toiletries and a wood desk. Video-on-demand movies can be purchased and both WiFi and wired internet access are available in all rooms. Bath amenities including a toothbrush set and hairdryers are provided. House Rules APA Villa Hotel Osaka-Tanimachi 4 Chome-Ekimae takes special requests – add in the next step! APA Villa Hotel Osaka-Tanimachi 4 Chome-Ekimae accepts these cards and reserves the right to temporarily hold an amount prior to arrival. Please be informed that room types cannot be changed after booking. If you wish to make changes, please cancel and rebook a new room. Public bath opening hours: 06:00-10:00, 15:00-01:00. On-site parking availability is limited and is offered on first-come, first-served basis. There is a public coin car park just a 3-minute walk from the hotel. Not sure why the bed was a little dusty but I didn’t get affected so it’s fine for me:) maybe cause we are directly beside the road ..
A great place for a solo traveller. As I’m petite, the single room was just nice for me. Luckily I brought a normal sized luggage so I could fully lie it fully opened in the room. The bed was amazing. I can fall asleep immediately :) it’s not the most amazing softness whatever but it really was true to what they had said, the material of the bed and the blanket helped with quality sleep. Desk help was also helpful although sometimes they don’t really speak English but service was of standard. Overall, cosy experience. The fact that i had a non smoking room and that for a reason but when the rooms beside me smoked i could smell it very badly. Front desk open 24hrs. Staff was friendly and kept my bags even when i checked out. Very difficult to communicate in English, yellow "dirty" walls and dirty room definitely not as high standard hotel as the APA Hotel Kokkaigijidomae in Tokyo. Very messy lobby at any time, doesn't look like a hotel! We booked this hotel because of the amazing experience we had in Tokyo. The room was very very small, this issue is more for your baggage!!! I will recommend if you travel a lot to bring a Dettol in your luggage!!! One of the receptionists, ITO, tried to make our stay more comfortable. She tried her best but couldn't deliver! The pillow could be more thick and the sound insulation is bad. Every morning start from 11am , you can hear the sound from the staff using vacuum cleaner. The location is great , near to the Osaka Metro. Room a bit dirty - splatters and dust on the walls. Smallest room I've ever had in Japan - no space to open suitcase. Very thin walls - could hear all the banging noises and talking of other guests. I had 1 very thin and very hard pillow. Lucky i had my own travel pillow. Mattress was uneven - i could only lay on one side of the bed. The other side was much higher and I would roll back to the lower side. Located within walking distance to Osaka Castle. Subway station entrace (8) elevator right outside. Staff were friendly and professional. There is an onsen in the basement - i was unable to use as I have tattoos but it is a very nice thing to have on site for guests. There is a supermarket within walking distance and the hotel has a microwave for guests to use near the lobby. Not a lot of outside noise considering it is located right near freeway. The location was great - right next to a station and near restaurants. Damp in bathroom. Advertised as having air conditioning but this was not available and when we asked we were told it was switched off. We’re told to open the window which opened on to a very busy room meaning we had trouble sleeping. Wouldn’t stay again. The room has a little bit of smell.